With today’s hectic schedules, moms want to make sure their kids are getting nutrients they need to grow healthy and strong. That’s why we developed Cheri Mins™. 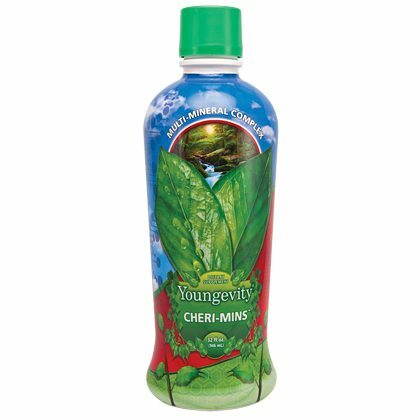 * Cheri Mins™ features Majestic Earth® Plant Derived Minerals™, the most advanced liquid supplement available. Kids love the natural cherry flavor of Cheri Mins™, and with more than 60 key minerals it’s a perfect foundation for good health. SUGGESTED USE: Adults, mix one or two fluid ounces in a small glass of juice of your choice. Drink during or after meals, one to three times a day or as desired. For children, reduce amount by two-thirds. WARNING: If you are pregnant, nursing or taking medications, consult your healthcare professional.